You’ve probably heard of the four elements found in nature – fire, water, earth and air. But what you may not know is that there are also Elementals or Nature Spirits who can help enhance your magick spells. In this article you’ll find out who they are and how to work with them. 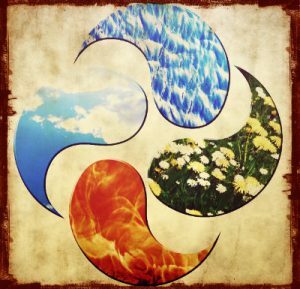 The idea of the four elements is not unique to Wicca and Paganism. It can be found in various schools of thought worldwide. The ancient Babylonians knew of wind, fire, earth, sea and sky. The ancient Greeks believed in the existence of the four elements that we know today, plus another one called ‘aether’ (or spirit). These elements, they believed, existed in all matter, including humans. The Chinese added their own twist to this idea – they believed in the existence of the ‘five phases’ or Wu Xing, incorporating wood, water, earth, fire and metal. Today, we generally accept the existence of four elements – fire, water, earth and air. And each of these elements has its corresponding Elementals or Nature Spirits. Paracelsus was a Swiss physician, alchemist and astrologer who wrote on the Elementals or Nature Spirits in his Liber de Nymphis, sylphis, pygmaeis et salamandris et de caeteris spiritibus, published in the 16th century. Fire is both destructive and nurturing – it can warm one’s home but when it’s misused, it can burn the entire building down. As opposed to the other three elements, fire cannot exist by itself, but only when something is being burned or destroyed. Fire is associated with the Sun, and it is no wonder that the Solar Plexus Chakra too is associated with this celestial body. The energy coming from fire is also associated with sexuality or creativity (or sexuality transformed). Fire illuminates, brightens and sparks passion within us. Equally, fire consumes, transforms and converts energy into different forms, such as ash, coals, light, smoke or heat. We all have reserves of fire energy within us. Suppressing your fire or burning everyone you meet can destroy you. However, unleashing your fire in a transformative or creative way can save you. If you feel like you are ready for a transformation, of converting your past experiences into wisdom, or if you need the power and guidance from the Sun to attain your goals, then it may be time to call on the fire Elementals to come to your aid. In the esoteric tradition, it is believed that Salamanders work on an atomic level, infusing the tiniest molecules with crucial life force, the ‘fires of creation’ or the Spirit. Without this spark that the Salamanders help maintain and distribute, everything decays or disintegrates. Those who have seen Salamanders say that they take the shape of small balls of light or lizards, and are ruled, according to some by a flaming being called Djin. Some accounts say that, just like fire itself, Djin can make a heart shudder in terror and inspire awe at the same time. The Salamanders have a lot of responsibilities on their shoulders. Not only do they give us the life force – they also try to diffuse the negative energy that builds up every day. However, they can be childlike too – some say that they can’t perceive the full consequences of their actions, and therefore can be mischievous at times. Spend some time connecting with the energy that comes from the sun during sunrise or sunset. 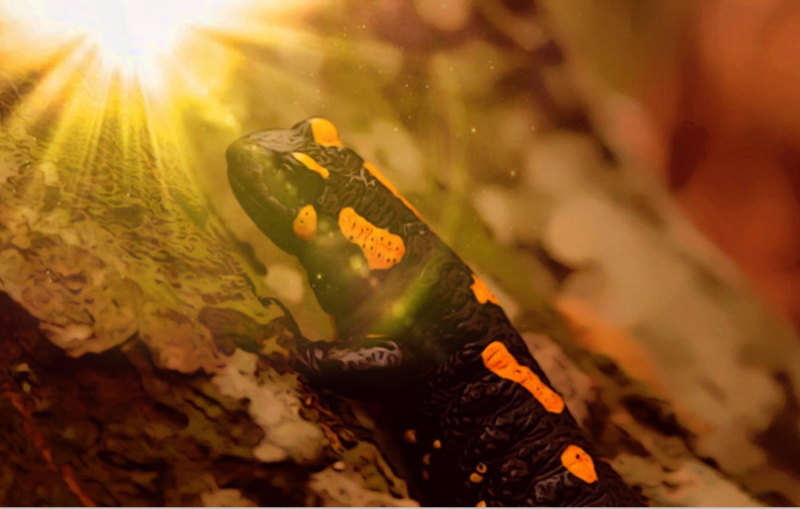 Express your gratitude for the sun and the work of the Salamanders, and invite their energy to transform you and illuminate your path. Naturally, candles are a great way to work with the elementals of fire. Try some candle magick spells or write down your worries on a piece of paper and ask the Salamanders to consume them as you let the flame burn the piece of paper. You can try placing some of these ‘fire herbs’ on your altar – basil, red poppy, cacti, chili peppers, cinnamon. Infuse your room with the fragrance of chamomile, patchouli, clove or bay leaves. Generally, anything that causes a warm sensation (such as various spices) works well. You can also use gemstones that are associated with fire, such as Tiger’s eye, bloodstone or a volcanic rock, such as pumice or obsidian. For more ideas, visit this page dedicated to Fire on Witchipedia. Before the Ancient Greeks agreed on the aforementioned five essential elements, they believed that water was the one original element that everything else could be reduced to. In the Taoist tradition, water is seen as the element that appears to be weak, however has the power to rise up in floods and even move mountains over time. Water can overcome fire. Thus, water can soothe the flames of fire but also has the hidden force of destruction within it. In Wicca and magick, water is seen as the element that can purify and transfer energy. Water is used for cleansing and preparation in magick rituals, often in combination with salt. 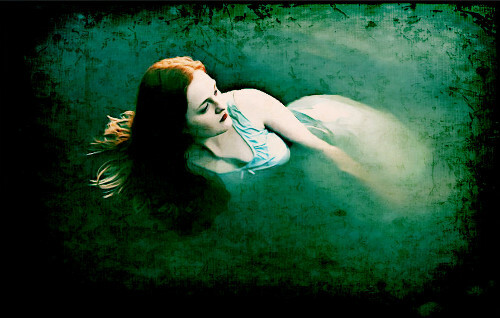 Water can be summoned to help induce spells of purification, psychic ability, dreams and sleep, peace, friendship, as well as love and understanding. The water Elementals or Undines come in many subgroups, and, as you may have guessed, they exist in everything that contains water, working with the vital essences with us and within animals and plants, as well as regulating the motion of water. Rivers, lakes, waterfalls, oceans, marshlands, fountains etc. all make a good home for the Undines. They cannot be seen by most people as they are etheric in nature. However, if someone is able to catch a glimpse of these creatures, they appear graceful, clothed in a substance that shimmers with all the colours of the sea, especially green. Friendly, open and emotional in nature, the Undines are believed to serve their ruler Necksa with love, devotion and honour. Next time you take a shower or have a bath, ask Undines to cleanse your energy of all negative imprints. Imagine the negative energy leaving your body as you physically cleanse yourself. Use water to prepare for a ritual or before casting a magick spell. Cleanse your hands in a bowl of water, induced with salt. You can also cleanse the entire ritual area, sprinkling the room, your tools or the people participating in your ritual with a dash of water, asking the Undines to assist you. Try adding some apple, seaweed, water lily, spearmint or aloe vera to your altar when you work with the elementals of water. You can also add some gemstones like rose quartz, opal, pearl, amethyst or aquamarine to create a more pleasant atmosphere for the Undines. When you hear the word ‘earth’ you probably think of being grounded. The image of someone standing tall, with their feet firmly rooted in the ground like the roots of a tree, usually comes up. According to Witchipedia, Plato associated earth with ‘darkness, thickness and quietness.’ In magick, the element of earth refers to stability, a firm grounding, as well as prosperity and wealth. Witches often evoke the element of earth when they practice knot magic, or want to do some spellwork to iron out any issues at home, or when they seek security (both in the home and at work). Earth is a good element to evoke before any magick practice as it helps to balance negative and positive energies within the person who is performing the magick rituals. Like the Undines, the Gnomes too have their own subcategories, and each of these is responsible for a different area. Some Celtic magic practitioners believe that the Gnomes are trying to communicate with many of us, since much of their habitat has become unusable since the industrial revolution. Back in the olden days, people were more in touch with the ‘patch of land’ that they owned and they heeded to the call they heard from the Earth or sometimes from the Gnomes. It helped them work their land better and create good conditions for the Gnomes. However, since globalization, people have been out of sync with their land. Some people believe that this has forced the Gnomes to retreat underground, when they’d much rather stay on the surface of the Earth. To read their full message, head over here. You can evoke the elementals of earth when preparing for a magick ritual by sprinkling a bit of salt on your altar, or placing a small bowl with soil on your altar. 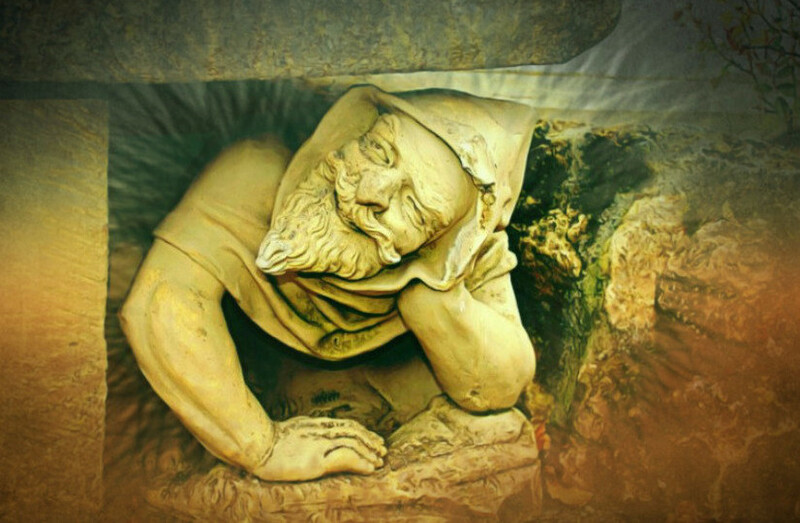 According to some practitioners, the Gnomes are trying to send out a plea to humankind, asking people to create little Gnome stations where they can safely come and live. If you have a garden, plant wildflowers or place some bunched flowers there – Gnomes love being near flowers! Mark the space – leave crystals or figurines of Gnomes to say that it’s safe for them to live there. And make it cat-proof – the Gnomes don’t enjoy being chased by cats! According to some, we each have a personal Gnome assigned to us. Working with the solid materials, they work with our bones, structure and stones found in organs. Do a quiet meditation, inviting your Gnome to help you heal your body and reconnect with their warmth and healing powers. Equally, offer to aid their healing. Naturally, plants are associated with Mother Earth and her element. Therefore, placing some pot plants on the altar may help induce her powers and make the space more inviting for your personal Gnome. You can also place some grains, red poppy or an earthy vegetable like potato on your altar. You can also use gemstones such as onyx, fluorite or jade – but a sprinkling of soil will do just fine. According to many astrologists and New-age spiritualists, we are currently on the cusp of a new age in Earth’s history – the age of Aquarius. But don’t let the name mislead you – Aquarius is actually ruled by the element of air, so it’s good to get accustomed to it. Despite some negative connotations in our culture, such as ‘air-head’, in spirituality air is associated with divination (i.e. observing the patterns of the sky and the winds in nature) and teaching. Air also helps generate new ideas, improve communication and help cooperate with others. It stimulates mental capacity, helps generate good luck and forge exciting travel plants. Like the other elements, air can certainly be a destructive force, shaking up our lives and leaving only rabble behind. But in that rabble is a seedling for growth and change. Air makes the change happen when you may be reluctant to taking action. Working with the element of air will help you stop battling the storms of your life when they arise, feel more at ease and be more open to receiving messages from your Higher Self. Being the elementals of air, Sylphs love people who use their minds or work in the creative arts, bringing inspiration to those at work. Air has the highest vibratory rate, and Sylphs never seem to grow old, even though they live to the grand old age of a millennia. Sometimes they take on the appearance of a human but only for a brief period of time – like their element, they are ever-changing, ever-coming and ever-going. Paralda, the leader of the Sylphs, is believed to dwell on the top of the highest mountain on Earth. Sylphs communicate with us in a number of ways, and you can start working with them by being conscious of their presence. Ever hear the sound of leaves rustling, when a sudden gust of wind stirs them up? Or have you seen a flock of birds gravitate from one rooftop to the next, seemingly aimlessly? There may be Sylphs at work. Acknowledge and thank them for their presence. Do you ever feel a tingling between your eyebrows, or find that you can’t think straight? It may mean that your Ajna chakra is blocked. Next time this happens, sit down in a quiet space where you won’t be disturbed. Picture a purple ball in between your eyebrows, spinning fast as it clears all that mental junk. Doing this regularly will help clear your third eye, so that one day you can perceive the Sylphs and other Spirit Guides easier. Although plants and herbs seem to be more akin to the element of earth, there are still certain herbs that can help you connect with air. These include primrose, violet, lemongrass, birch and cedar. You can also burn some frankincense or myrrh. When it comes to welcoming the air elementals with gemstones, the blue aventurine, citrine and moonstone are a good bet, especially for those of you born under the sign of an Air Element (Aquarius, Libra, Gemini) as these stones help induce clarity, lucidity and the ability to have spiritual visions.